Activision-Blizzard, the well-known game publisher, has decided to open its newest studio, Beachhead, which will be in charge of the “digital” aspects of the Call of Duty franchise. The announcement came during the same end-of-the-year fiscal meeting in which the gaming powerhouse announced that it would be killing the Guitar Hero franchise in favor of more lucrative brands, specifically citing Call of Duty. Beachhead will create the best-in-class online community, exclusive content, and a suite of services to supercharge the online gaming experience like never before. The platform will support in-game integration and bring online experiences and console play together for the first time. The platform has been in development for over a year and we’re very excited about the increased value we can bring to the community. We look forward to sharing more specifics on this exciting new endeavor with you in the near future. We’re very excited about the increased value we can bring to the community. The DLC we have planned for Call of Duty alone should have more commercial potential on its own than most standalone console games. 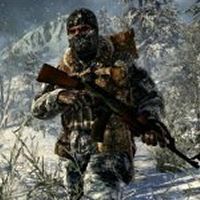 Considering the massive popularity of downloadable content, it comes as no surprise that Activision would create a studio dedicated to the post-launch maintenance of Call of Duty titles. According to the statistics that Activision divulged during the fiscal call, the first downloadable content for Call of Duty: Black Ops, referred to as First Strike, saw 1.4 million downloads in the first day, reaffirming the potential for growth in the downloadable market. Believe it or not, that is a 21 percent increase over the numbers we saw during the Modern Warfare 2 era. 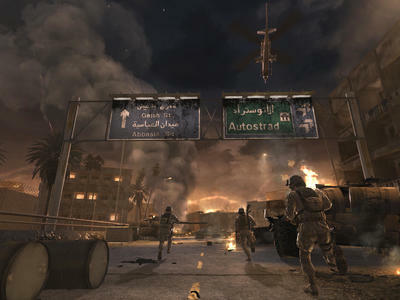 Beachhead’s role within the ever-expanding Call of Duty apparatus is still somewhat unknown. From the descriptions we have seen, it feels as if they will be in charge of map packs, double XP weekends, and community events. Recently, Activision added a few more studios to its arsenal, and now the lead developers on Call of Duty titles in the past, Infinity Ward and Treyarch, will only have to focus on single player experience while Raven handles the multiplayer and Sledgehammer begins work on independent ventures. This addition of employees and increased efficiency of the development process will likely result in greater profits for Activision-Blizzard. However, if they begin to pump out two titles per year, their chances of seeing success comparable to Black Ops are significantly worse. What do you think? Will Beachhead be able to put up meaningful content? Was it really worth firing those who have worked to create Guitar Hero and DJ Hero just to have another Call of Duty developer? Let us know in the comments below.